Today was just such a beautiful autumn day. It was a blue bird day, the perfect temperate with a gorgeous breeze floating through the air. It is by far my favourite season, especially early on when summer fruits are still lingering around and the days are still long. 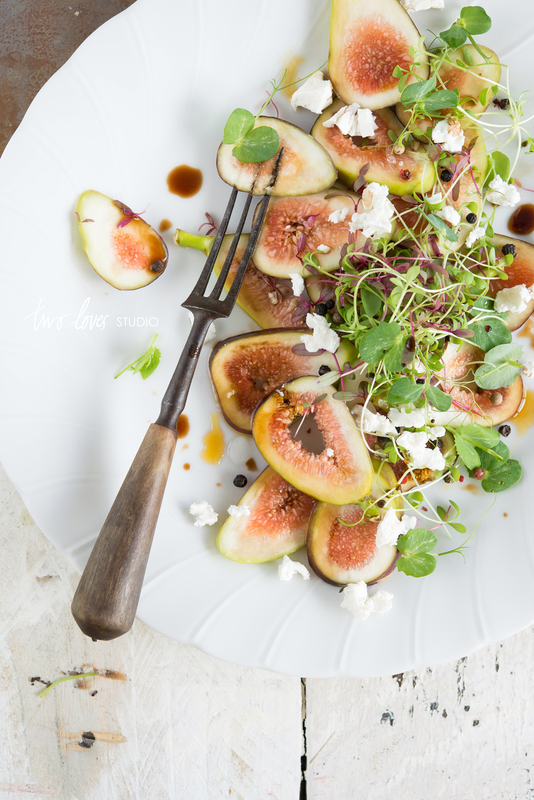 Before figs slip out of season, I wanted to make a fig salad as they are just such an intricate fruit with a taste like no other. Just a simple side salad if you need a little change from veggies. 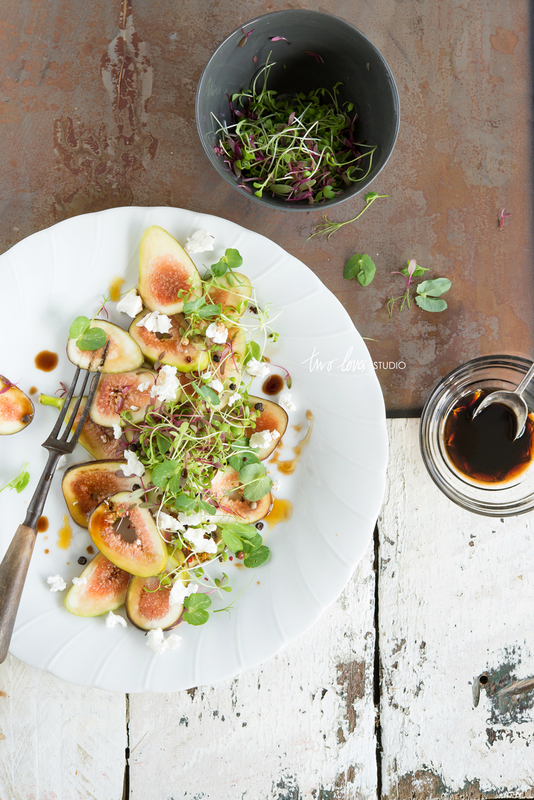 I can’t resist figs with cheese and creamy feta cheese is a well suited addition. I have been growing new batches of microgreens each week and am loving their taste and look in my salads. Have you grown your own micro greens before? On a serving platter, place the sliced figs and crumble over the feta. Sprinkle over the micro greens and peppercorns. In a small bowl, add the balsamic vinegar and maple syrup and stir to combine. Either drizzle over the salad when read to serve, or serve on the side. Hi Rachel Jane – everything looks very appetising, as usual 🙂 Never even heard of microgreens but the look of them in your pics got me interested, and I just did a little research. Will try to grow some at home. Do you have any special tips you could share? They are so easy to grow. Like an elementary school project, soil, seeds and water. They just grow! No tricks and they are usually ready for harvest within 7-10 days. I have mine sitting on a Southern facing window, as I don’t think they like harsh direct light! They are cute huh? Your photos are so mouthwatering & gorgeous as always. I can eat this salad every week; spring is indeed here.